A year ago today, Cheryl and Dan were counting down the final days to their wedding. To celebrate their one-year anniversary, I wanted to share some of the special details from the day with you. 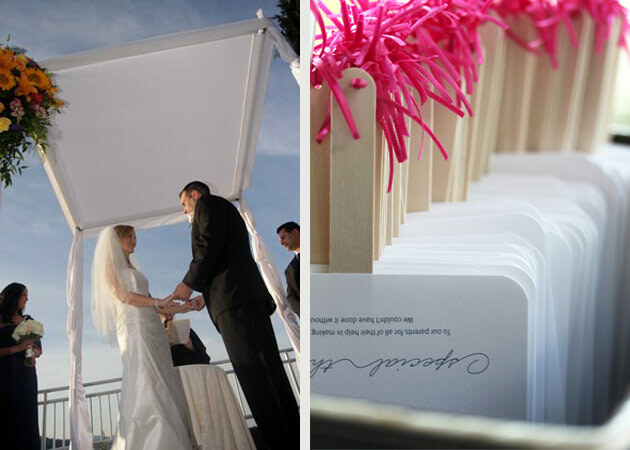 Cheryl and Dan were married on the Fourth of July at The View on the Hudson, overlooking the Hudson River. When they chose the fourth as their wedding day, they were aiming to make it convenient for guests (it was a 3-day weekend last year), so it had nothing to do with being patriotic. They did, however, love the idea of fireworks bursting over the water on their special night. The couple really wanted a simple, modern design. 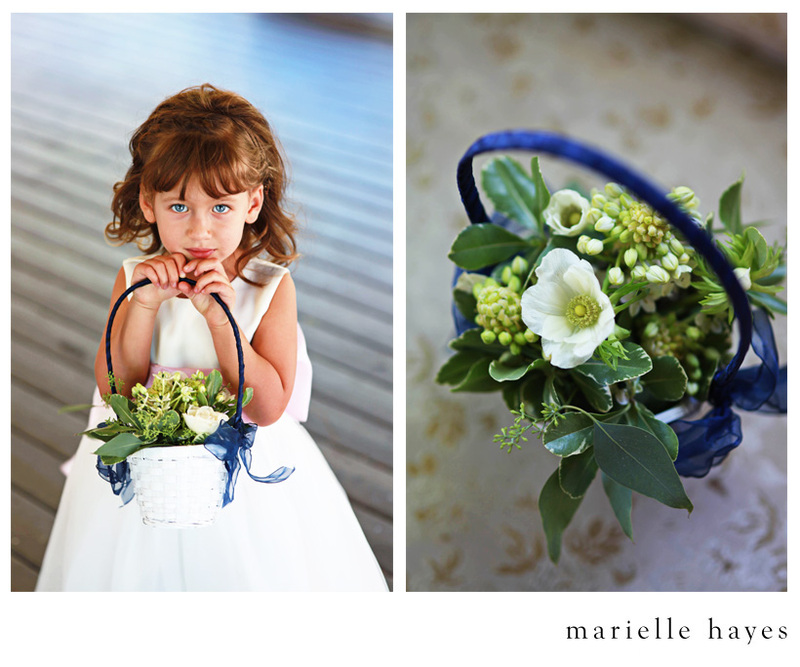 They chose navy blue as their main color with pops of summery yellows, pinks and oranges. 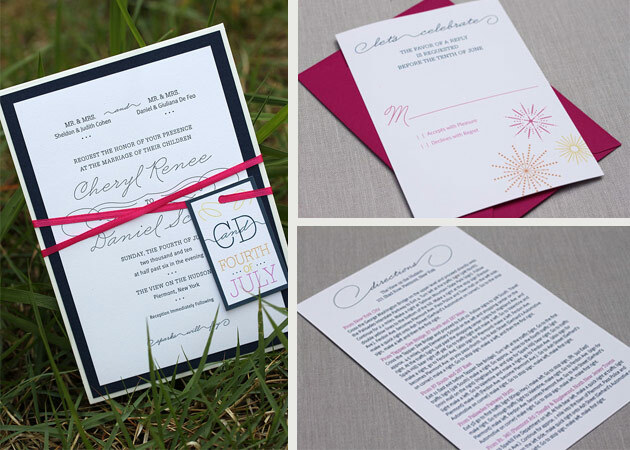 The resulting designs played off of the phrase "sparks will fly" and incorporated graphic firework illustrations in the bright accent colors. Getting married right on the Hudson provided some spectacular backdrops to their ceremony. The bright sun created sparkles that danced across the surface of the water. 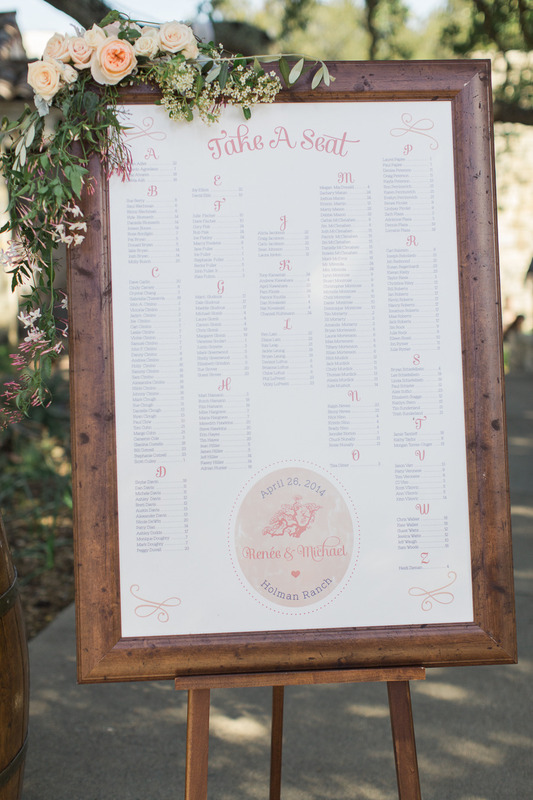 It also ended up being a pretty hot day, so the programs we created as fans for guests definitely came in handy. The inside of the ballroom had a 360 degree view of the river. Guests gathered in what felt like a glass tent, providing the best of both worlds; a fabulous view and cool tempurtures! After a night filled with fireworks seen up and down the riverfront, Cheryl and Dan wanted to create some sparks of their own. 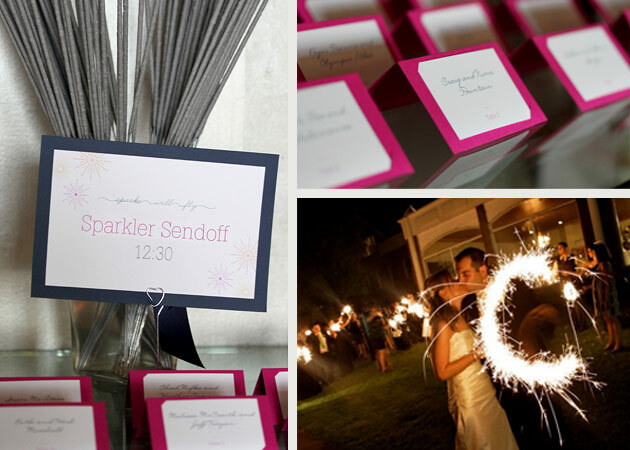 After dessert, guests were invited outside to light sparklers as a fun way to end the evening. Congratulations on your first anniversary Cheryl and Dan! If you'd like to see more of the details, visit our flickr page.